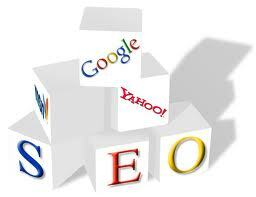 It's not easy to understand everything there is to know about search engine optimization. Here are some basic SEO tips to get you started! This is probably the most important step in SEO. There are a variety of methods and levels of thoroughness to go about SEO research, but I'll cover the essentials here. Brainstorm search queries – Think about what words people would type into search engines to find your company or your company's service. Write them down. No list is too long. This list will form your keywords. Research your keywords – Sign up for Google AdWords and use the "keyword tool" and "ad text ideas" generator. This generally shows you how much competition your keyword has and gives suggestions for other related keywords with less competition (like long-tail keywords). Based on your keyword research, analyze Search Engine Results Pages (SERPs) for each keyword – Look at who is ranking, what they are doing effectively, and how you can trump their website and SEO. Create a list. Compare content. Compare links. Look for similarities. Search for your own site – Simply type your url into a search engine to see if it is indexed. If it isn't, you may have to do a bit of trouble shooting to find out why. Now that you've done research, it's time to make tweaks and changes to your website. Sign up and verify with Google Analytics, Google Webmaster Tools, and Bing Webmaster Center – let Analytics run for a couple weeks before doing SEO. This way you can compare whether or not your SEO is making a difference. Evaluate visual design of the website – No amount of SEO can help a site with a design that drives people away. Check browser compatibility – Again, not SEO; just good web trafficking principles. Add company address and phone number – Be sure that this is in text and on every page. Format it like a mailing address with the phone number at the bottom. Add a robots.txt – This specifies what pages search engines can crawl. This also makes tracking search engines easier. Remember to continue marketing your website through other websites. Ask relevant sites and directories to link you and use social media if its relevant to your business or customers. Hi SEO Service uk, thanks for your comment and kind words. We fully agree with you professional help does give you a edge, but for those just starting out this is a nice way to get your feet wet.